Quadcopter or drone is the latest hi-tech toy that adults enjoy playing with. Aside from being expensive, flying it requires the owner to have some skill. For some reason, sometimes drones malfunction in the air; if that happens, you may lose it forever! That’s why many multicopters now have GPS chips integrated into the machine. Drones with built-in GPS are capable of holding its position in the air, returning to home and other assisted flight features. Sophisticated flight controllers and GPS chips do complicated but excellent jobs to keep drones stay aloft in the air. Though GPS can help drones fly effectively, drones can still function without it. What this means is that pilots should not rely solely on GPS. Consider GPS as a backup plan. As a pilot, you should know how to maneuver your aerial vehicle with your piloting skills. If you don’t have the appropriate skill needed to operate a drone and depend on GPS—like for example when trying to returning your drone home—you’re putting yourself and the people as well as the properties near you at risk for machine crash. Top quadcopters like DJI Phantom and other robots with built-in GPS don’t depend on GPS alone for its stability. GPS can only provide two coordinates for the drones: the latitude and longitude. Upon switching your quadcopter on, you will notice several lights that could mean your GPS has a lock or not. Read the instruction manual for reference. 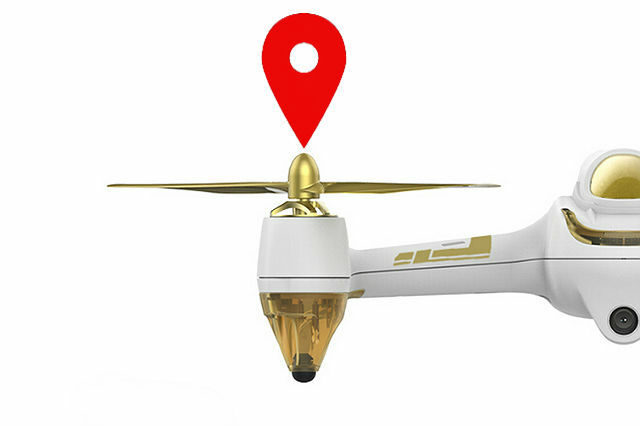 Through the lights, you can confirm if the GPS signal has a lock, only then you can fly your quadcopter; otherwise, it won’t fly properly or, worse, will fly away. The GPS cannot identify the position, direction, or the altitude of the quad. The copter has a dedicated sensor for each function. The flight controller, which is the CPU of the multirotor, has accelerometer to determine the movement of the quad, if it’s in the right position and not upside down. It makes sure that the quadcopter is not flying like a drunk man, leaning to the right or left. Accelerometer is the same sensor that smartphones use to detect which way you have tilted your phone and what video game controllers like the old Nintendo Wii uses to know which way the control was facing and at what speed it was moving. Before your first takeoff, accelerometer should be calibrated. Let it stay on an even surface for a few seconds so the sensor can initialize properly. If you sense your multirotor to be drifting around than necessary, it could be that your accelerometer is not properly tuned. Check the instruction booklet to address the problem. Another sensor that quadcopters use in determining the direction of which the multirotor is facing is the magnetometer. It is essential that magnetometer is pre-calibrated before flight. Not doing this can get your drone lost, and in case of emergency, its return-to-home function will not work properly. To calibrate the magnetometer, move the quadcopter around on all its access, forward, sideways 360 degrees. The quadcopter’s altitude is measured by a digital barometer. Unlike the other sensors, most barometers don’t need calibration. If you want to know the best drones to buy, we’re here to introduce you to the top quadcopters with GPS you need to purchase. 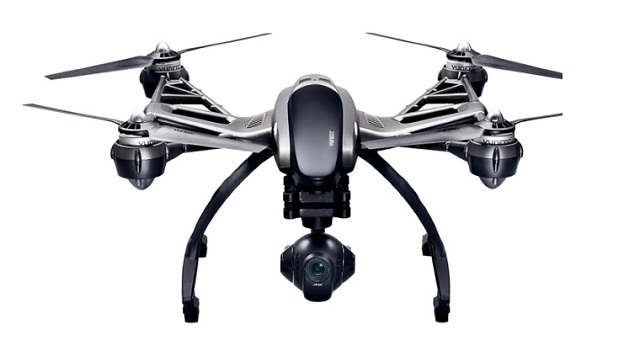 Below are seven high-quality drones any drone enthusiast are itching to have. Know more about these top quadcopters and why they’re worth the purchase. 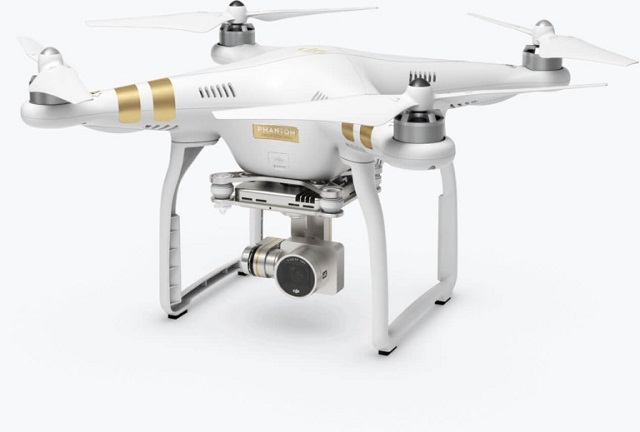 The DJI Phantom 3 is a versatile and awesome UAV, making it one of the top quadcopters in the market. It is integrated with GPS and very easy to fly, smooth and straight, which enables the 4k camera to take beautiful footage. It has an accompanying smartphone where you can plan your flights ahead and stream video straight from your camera. 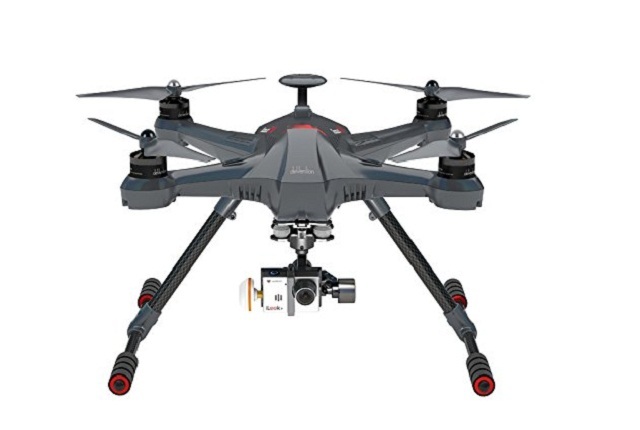 It also has a vision positioning system, a collision avoidance system that can prevent the drone from crashing into the ground. It can stay aloft on the air for 20 to 25 minutes per fully charged battery. The 3DR Iris+ has many great features. It’s ready to use and fun to fly. With its free DroidPlanner app, the user can plan flights by simply drawing on his tablet or phone’s map. The IRIS+ has a follow me mode, which allows the drone to follow the user’s GPS-enabled Android phone. You can choose to lock on to a point of interest so the camera will stay focused on one point, giving you freedom to move around while taking shots at the particular subject. If you intend to use the 3DR for videography, you have to purchase the stabilization gimbal and GoPro camera separately. It can lift objects up to 400 g and has an average flight time of 16 minutes. The drone market is so overloaded with options, and one of the top quadcopters out there is the easy-to-fly Walkera Scout X4—an excellent solution to your aerial photography needs. Included in the package is a Walkera Devo F12E, which has a built-in FPV receiver and screen. It also comes with a Walkera iLook+ camera. This UAV can carry up to 14 ounces object. Walkera Scout X4 has a follow me mode that allows the drone to hover near you using GPS. In case of loss of signal, the drone is capable of returning to its starting point. Its powerful 22.2V 5400mAh LiPo battery allows you to have fun for 20 to 25 minutes—a real complete package. 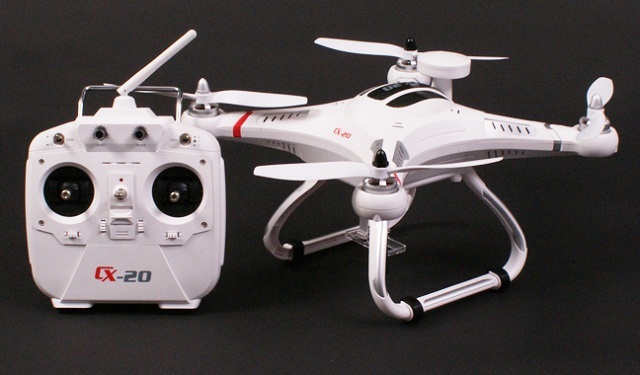 The Cheerson CX-20 is a good quad, ready to fly out of its box, but not suitable for beginners. 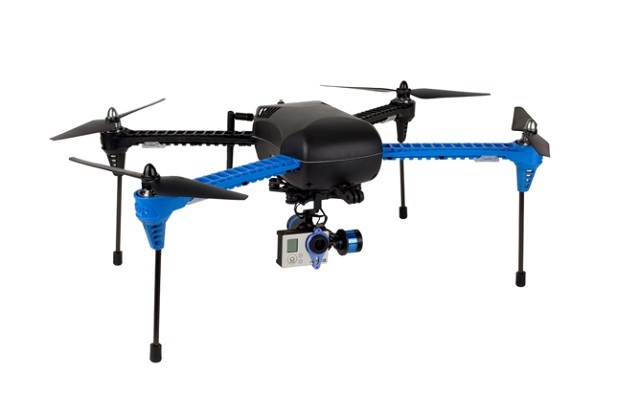 It is a well-built, affordable quad that uses open-source software. It has most of the features you usually find in other more expensive quadcopters like the DJI Phantom and Iris +. We’ve even compared the Cheerson CX-20 vs. XK Detect X380. It has GPS features such as position hold and return to home. The latter automatically functions if the quad is low on battery. Gimbal and camera are not included in the box. It has a 15-minute flight time with top speed of 10m/second. For its price, Cheerson CX-20 will sure give you the value for your money. The Yuneec Typhoon Q500 is definitely one of the top quadcopters available today, it can even take DJI Phantom head on. Its onboard 4k camera and gimbal allow user to take gorgeous shots. It has all the features available in a standard GPS UAVs: the follow me, return to home, position hold, and watch me modes. The last one keeps the particular object always in the center of the frame. Typhoon Q500 has a US version, which follows FAA regulations for safe flying. It doesn’t fly in no-fly zones, that’s within 5 miles of an airport. It is also configured to fly only within 300 feet away from the pilot and under 400 feet above the pilot. However, this feature can be disabled. But to be safe, turning this feature on is recommended especially if the pilot is a novice. Overall, Typhoon Q500 is great if you’re looking for your first ready-to-fly quadcopter. The DJI Naza has two versions: the Naza M Lite and the Naza V2. The flight controllers of these two top quadcopters have more or less the same basic features: the position hold, return to home, and a function that allows quadcopter to react in relation to the pilot’s position instead of the quadcopter’s actual location. For example, if you’re face to face with your quadcopter, usually your left becomes right and vice versa; but with this feature activated, your left is left and your right is right. However, in terms of performance, the Naza V2 is slightly superior than the Naza M Lite. The former supports autonomous flight and is more stable. If you plan on creating your own aerial photography drone, the two will make a great plug-and-play flight controllers with less tweaking and configuration. 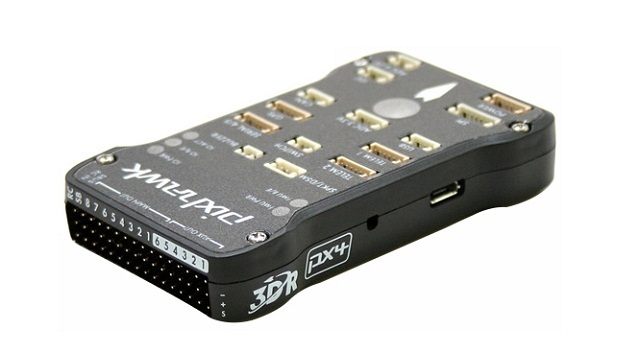 The 3DR Pixhawk is the Iris+ flight controller. You can use this in building your DIY quad. Together with an external GPS adapter, you will have a fully autonomous multirotor. All these UAVs as machines may malfunction or, worse, fly away. To avoid your drone from flying away, before use, make sure that you have followed the instructions in your manual booklet. You have the sensors calibrated and that the battery is fully charged. It won’t also hurt to purchase a portable GPS tracking device such as Trackimo, which you can mount on your drone for an easy recovery in case you lose track of it after it crashes. The device allows you to monitor your quadcopter 24/7. As an expensive property, it would break your heart to see your drone gone after using it for only a few times. And lastly, make sure that you follow the Federal Aviation Administration (FAA) rules for your own safety and the people as well as properties near you.